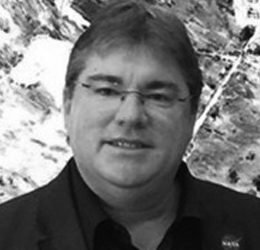 Glen has over twenty years’ experience in the digital transformation, information and communications technology field having held senior leadership positions in some of Australasia’s largest and most complex organisations. Operating in the manufacturing, health, tertiary education, finance/consulting, space exploration and engineering sectors. He holds Information Technology qualifications from Waikato Institute of Technology, an MBA from University of Waikato and postgraduate executive qualifications in technology innovation from Singularity University. He is a Senior Research Fellow Faculty of Health Victoria University and Advisor Digital Technology – Office of the IT Chief Technology and Innovation Officer, NASA Jet Propulsion Laboratory. Glen is regular international keynote conference speaker on digital technology adoption, security, IT digital leadership and innovation addressing forums including the ‘C’ level conferences (NZ, Australia, US), Medical Schools (Australia, NZ, USA), and Singularity University (Silicon Valley). In 2018 he was ranked by CIO publication Top 100 as one top ten of New Zealand CIO digital innovation leaders and New Zealand CIO of the year finalist in 2015. Glen has a strong Australasian and international network in both the public and private sectors, including executive level relationships with leading global IT organisations. In contrast he also advises and supports IT start-ups organisations in New Zealand and Silicon Valley.